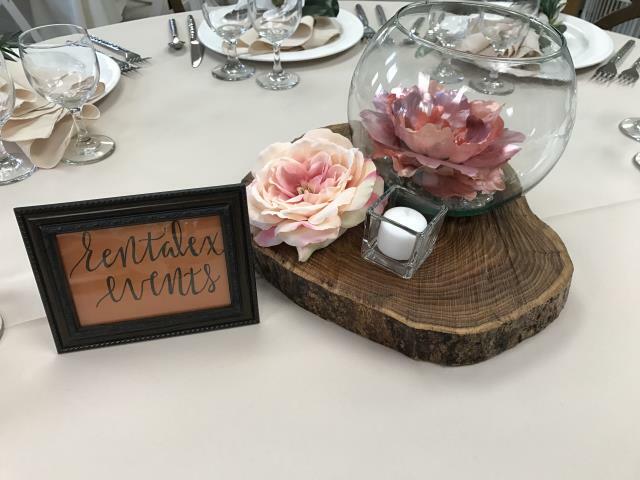 RUSTIC WOOD ROUND CENTERPIECE. VARIETY OF SHAPES/SIZES RANGING FROM 11-13" ROUND. * Please call us for any questions on our centerpiece wood disc rentals in Kalamazoo MI, and Southwestern Michigan.